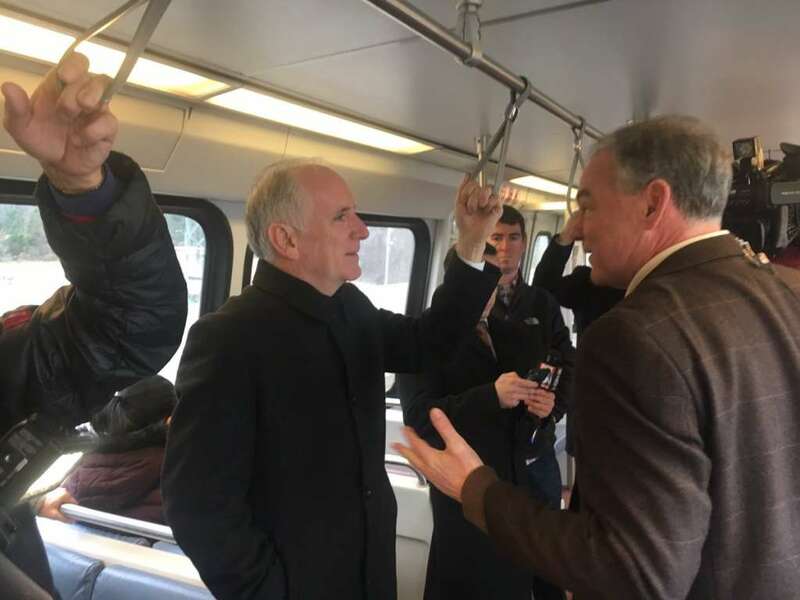 Sen. Tim Kaine (D-Va.) took a trip with Metro General Manager Paul Wiedefeld on the Silver Line today to check on the progress of its construction, WTOP reported. The senator got on a train at Tysons Corner and rode it to the Wiehle-Reston East station. He then took a bus to Dulles International Airport, which is one of six future Silver Line stops.